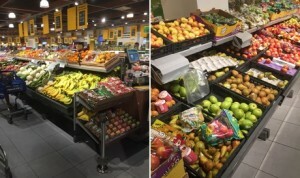 WILLEMSTAD - In Curaçao, it seems that less and less fruit is available. However, the shelves are not completely empty. 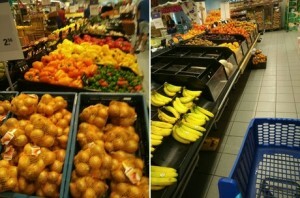 Recently, Freshplaza published an article, in which it was reported that boats with fruit will come to Curaçao again. The fruit is not so much intended for the supermarkets. The boats form a floating market, which mainly consists of Venezuelan traders who in this way offer their fruit and vegetables despite a boycott. Import statistics for 2016 from the Central Bureau of Statistics in Curaçao show that Venezuela was the fourth largest exporter to the island. Most of it came from the US, the Netherlands and Puerto Rico. After machines, food products were the second largest sector in terms of imports. According to Mrs. de Jong, who lives in Aruba, consumers do not notice much of the trade boycott that Venezuela has set out for Aruba. "In the supermarket where we do groceries every week, lots of fresh fruit and vegetables are available. 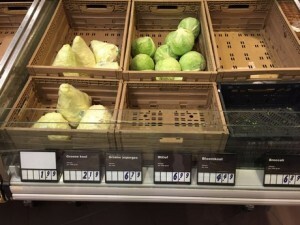 The prices are higher than at supermarkets in the Netherlands, but that was also the case before the boycott. " The Central Bureau of Statistics of Aruba has published information about the year 2017 up to the third quarter. These figures show that the US is the largest exporter to Aruba, followed by the Netherlands. Aruba also imports from other countries, such as Panama, Colombia, China and the United Kingdom. In terms of import value, Venezuela is only in seventh place. However, the import figures are based on total imports, of which the import of food products is only a small part. Other categories of non-food products have a higher value than in the case of import vegetables and fruit. In contrast to Aruba and Curaçao, empty shelves can be found in supermarkets in Bonaire. For example, there is hardly any supply of tomatoes and bananas. There is spinach available, which is grown in Bonaire.